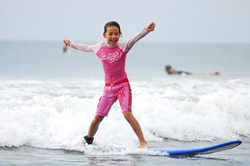 Until now very few learn to surf programs have been established in Bali. 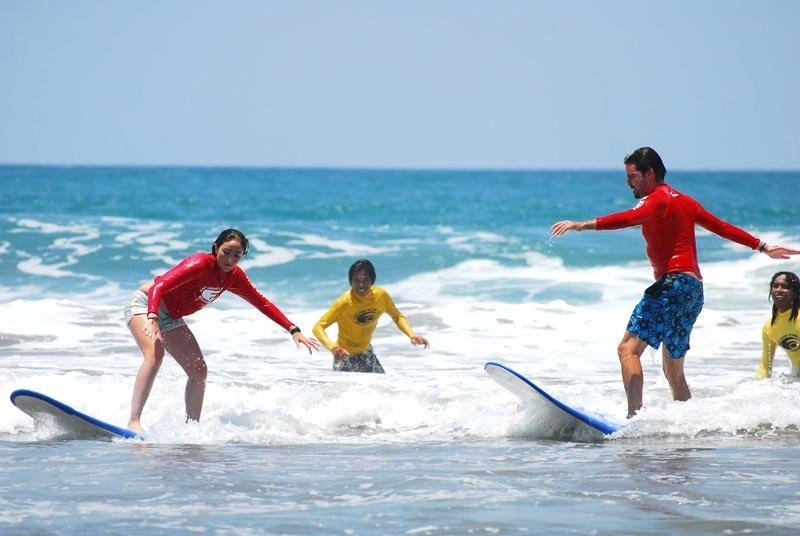 The Bali Learn to Surf School has embraced this opportunity, developing a highly professional outfit teaching people the experience of surfing ensuring that surf etiquette, surf safety and minimal impact to the ocean and surrounding land environments is bestowed upon the students taking part. Have you ever wanted to surf? Well here's your chance to do it now. 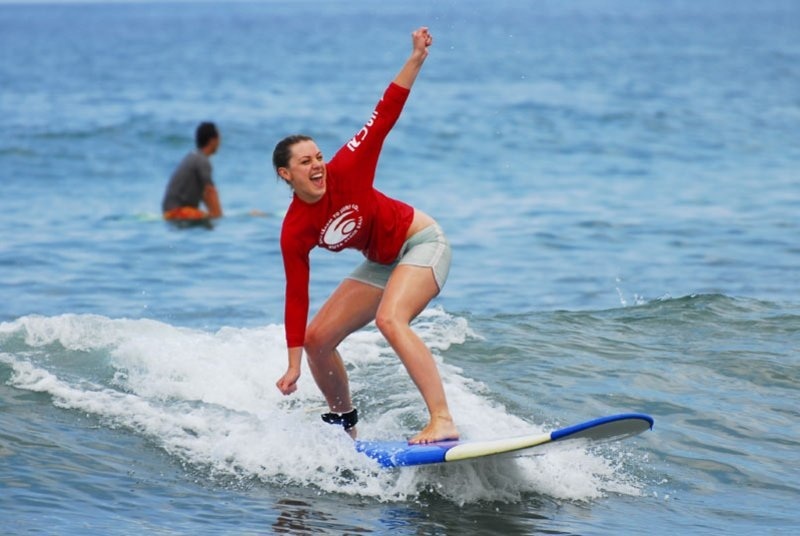 Experience the thrill of surfing taught byqualified professional surf instructors on Kuta Beach Bali. The surf on this island is renowned throughout the world surfing community, for it's long rolling waves that are magic to ride. 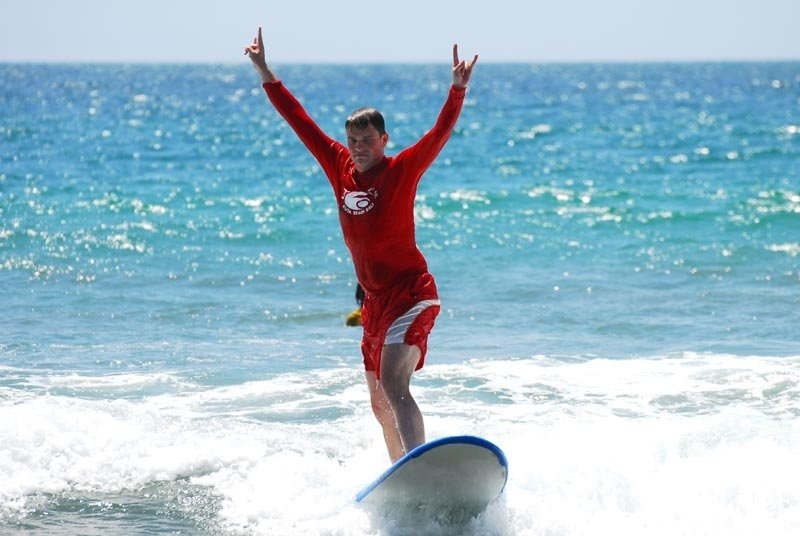 Our surf school's two and half hour lesson first teaches you the basic art of paddling and mounting your board then after learning water safety, surf etiquette and board handling you'll be ready to hit the waves. We guarantee that before you know it you'll be standing up on your board and riding a wave, wondering why you never did this before. 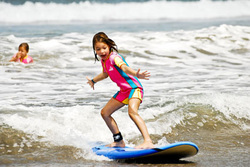 Learning to surf is for all ages and is safe and fun!! Imagine telling your friends back home, "I learned to surf in Bali". 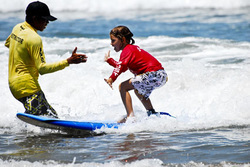 surf safety, surf etiquette and you will be standing and surfing by the end of this lesson. surf awareness understanding beach, wave and ocean conditions and surf safety. Preparing you too feel safe and confident in the surf. "Photo and certificate are included in this course"
taking the drop, ridding the wave face, bottom and top turns, positioning in the line upand advanced surf safety. This is the course for anyone serious about becoming a surfer. Success with personal one to one Coaching. Intro to Surfing and Surf Safety. 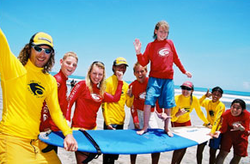 Kids learn beach and surf safety and awareness. Basic board skills, paddling, catching waves and surfstance. 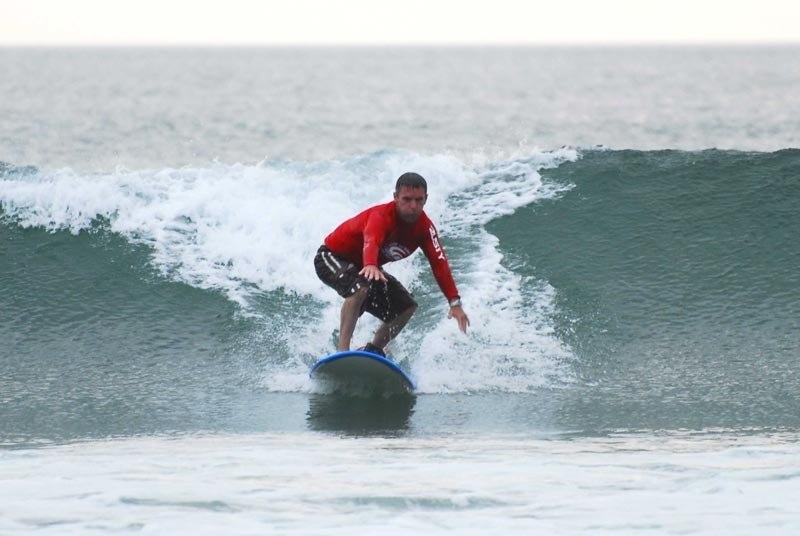 Stand up and surf assisted by our professional coachesin your first lesson. turns and safety tips from our professional surf coaches.